This is a rectangular Ohio Farmers Insurance porcelain sign. This particular Ohio Farmers Insurance sign is predominantly black with yellow and white print. 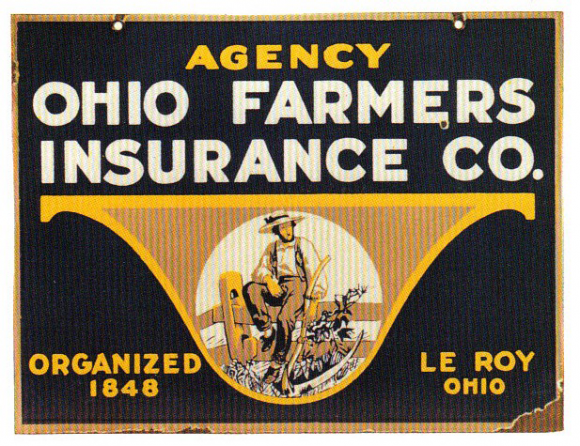 It reads, “Ohio Farmers Insurance Co. Agency, Organized 1848, Le Roy Ohio” and features a young man wearing a hat and sitting on a fence in the center.